Red-tailed Hawk (Buteo jamaicensis). Mature adult, Eastern form. 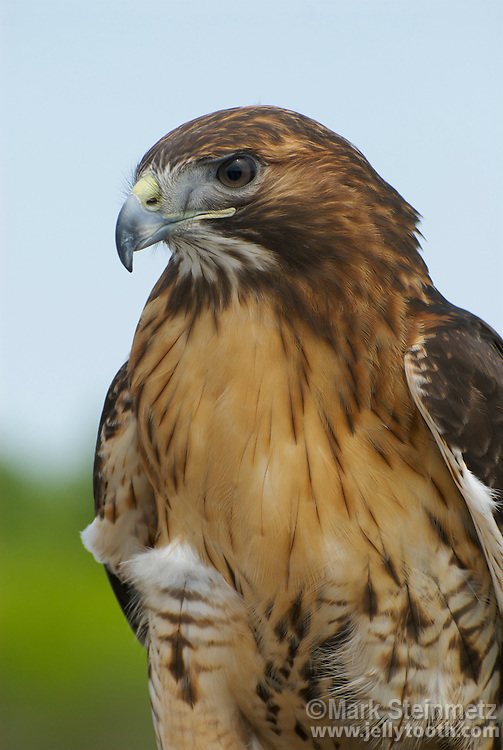 Red-tailed Hawks are large, conspicuous buteos which range across all of North America. There are multiple subspecies and intergrades with many variations in range and coloration. They hunt primarily mammals, from a perch or by kiting. Northern Ohio, USA.